What’s your financial independence target year? According to my calculations, I reached financial independence right around my 30th birthday. Like peak oil, it is however something you can only really see a few years after the fact: Have you made enough non-job related income every year since then, have you controlled your expenses, etc. Prior to that period, I had a fairly good estimate of the cross over point thanks to the fortran program I had made (I suppose everybody else just use a spreadsheet) so I knew FI would happen right around going over the hill. I think having a target date for FI firm in my mind was a very helpful motivator. The FI estimate has turned out to be amazingly robust. The reason is that when the external environment changes (like interest rates, … ) I adjust and adapt my personal behavior accordingly. So for instance, whereas I’m not as rich as I figured I would have been three years ago (thanks to the market plunge), I have adjusted my expenses and returns accordingly to remain committed to my target date. I’d be really interested in knowing if my readers have a target date as well and I thought it would be cool to make a list. Let me know in the comments and I’ll add it to the list. 33 users responded in " What’s your financial independence target year? " At 8% APY, I will be FI in 34 months with a balance of $157,641.65 and monthly interest income of $1,050.94. That makes my target date March 2012 (I’ll be 25 years old)! hi jacob. my target is mid-year 2012. (it could possibly happen sooner). i keep a hand-drawn FI cross-over graph on the inside of my bedroom closet door and i plot my savings and expenses monthly. That’s something that seems easy, but is somewhat difficult. My wife has to put 9.75 more years as a pharmacist for the military before she gets her pension (she’ll be age 43). She intends to retire on that of which seems entirely possible at this time. I started Lazy Man and Money realizing that I didn’t want to work until 65 while my wife was retired at 43. I hoped to find ways to make more passive income. To some degree, Lazy Man and Money has become that form of semi-passive income. We might need to make some minor lifestyle changes, but one could say that I’m financially independent from that income today. At the same time, we might think about having children soon and similar lifestyle choices could purposely add other expenses. So I suppose you could put me down for 2019 as that’s my deadline. Of course, since my plan is largely cash-flow related, things may change. I wrote a five part plan on this. 2012 here too, I will be 45 at that time. It’s the age that set the deadline rather than a calculated goal. However it seems more and more likely that I will ‘retire’ much sooner, or simply relocate and change career path (and living expenses) before 2012. If we lived Jacob’s lifestyle, we could exit the rat race today. Since a house with enough room for our avocations is dear to our hearts, the dates are definitely in the future. The “OK-I’m-set” date is in 4.5 years, when there’ll be enough to pay the mortgage off (though I’ll probably keep it invested since the mortgage rate is extremely low). The “I-don’t-care” date for work is in 6.5 years, when I don’t lose any retirement benefits (even though I’m already vested, the account will quit accruing interest after 5 years if I leave employment early)… unless Oregon changes the rules(*). It will likely be possible for us to buy a more rural house and move without downgrading our lifestyle, pocketing the difference between a Portland-area home and a rural home. The “got-it-made-and-then-some” date is in 11.5 years, when I become eligible to retire and our house is paid off… unless Oregon changes the rules(*). (*) Oregon has changed the retirement rules 3 times in the past decade as a result of dealing with a fiscal crisis in 2000. Sometimes in subtle and not so subtle ways. The one that has hurt me the most is that after 5-years of leaving benefit-covered employment, your retirement account quits accruing interest. Yes, one is free to move it to an IRA, but then one loses the money-match that would be yours if you retired. Well I guess I am FI in 2009 as my dividend income plus any other sort of passive income is above my monthly expenses of about $1K. However I would keep working and developing since I enjoy working on multiple endeavours- job, education, investing, blogging etc. The multutasking part is really what gets me going. Should have also mentioned that the financial ramifications for not paying attention to the 5-yr limit on an early exit is at least a year’s living expenses for each year that the retirement account does not accrue interest. @George – Sounds like the retirement plan is a reverse social trap. I can’t decide whether I like it or not. I was FI almost two years ago (summer 2007, age 47) and began re-organizing my portfolio to accommodate my plans. Sold some riskier things and bought bonds near the market peak, I accidentally got very lucky. Was negotiating my exit when the market really began to collapse, decided to put early retirement on hold to see how things worked out. Although I’m mostly happy I have continued working, I’m also having a horrible time staying focused on the minutia of software development. Am now planning to work through the end of this year and pad the “rainy day” cash fund out to five years. Every day is a struggle now, the work I once loved has become an endless grind. Would much rather be hiking, biking, or tending the garden. June 2008, 67 years old. Just the way it worked out. No regrets. 2020 for me (early 40s). I had always planned for it to be much sooner, but then kids entered the picture and well… I haven’t quite corrected course like I thought I would. But I think 2020 is still realistic. Not exactly ERE but still a couple decades sooner than most! I’m a fairly new reader and may have missed it somewhere, but can you clarify your definition of “Financial Independence”? Thanks! January 15, 2015 (age 52). How can I be so precise? Because I am amazing! Amazingly lucky to have a pension plan. I can retire on that by itself because it will be over half my pay and my house will be paid off (May 1, 2013 at the latest). However, like George fears, the pension could break for me before then. So meanwhile, I also have been maxing out a Roth IRA and have started adding a little to a Roth 403b. But on that money alone, it would be a very long wait. I don’t really adapt much to changes in the economy. I just have savings in lots of categories so that if something comes up, it doesn’t matter whether I’m in a lean time or not. The amounts I add monthly go up (or down) as my situation changes, but the amount I’m spending from those categories is not dependent on the economy. Mine was 2012(at 45), but the market crash along with a lopsided investment in 2008 and a baby in 2008 have made things difficult. I am trying to adjust that to 2015. Need more work to do. sept 2015 for FI. although, having a lower income “job” that just covers my expenses while the investments compound is in the back of my head. in all reality though, my end goal is to consistently keep my expenses lower than my income, while maximizing my life experiences. I would be financially independent by 2020. I have been putting away money in CD ladders and have been buying Treasury Inflation Protected Securities in order to increase my interest income. According to my projections, by 2020 I would have enough interest income coming in to cover 1.5 to 2 times my annual expenses. It’s always good to leave yourself some wiggle room just in case something unexpected happens such as a major illness or something like that. My FI date could be postponed however if inflation kicks in or long term interest rates do not rise above 4% over the next few years. I have considered moving to a country with a lower standard of living, where you would live like a king for much less than in the US. Some of the recent additions to the European Union such as Bulgaria, Romania and the Czech Republic could be a nice place to retire as the average incomes there are about $500/month..
Part II: If my pension fails, I can still retire around 2019 (age 56), assuming current savings and spending trends. for a small pension and with it the right to stay on the group coverage indefinitely. So I’ll put our true FI date at 2016. So far, spouse and I love our jobs, so we’re not thinking of early–or any–retirement. We are in mid-50s btw. Of course, poor health or other disasters–not to mention burn-out–may change things. But I wanted to mention that I like your point that you discovered your FI year retrospectively. Fascinating way to look at it. It’s probably the accurate way to look at it also. I could already be retired, but if I keep working until 2012 I’ll qualify for old age pension when I’ll be an old geezer, which could come in handy if I screw up my investments. It’s nice to have a plan B. And a plan C. Etc. 2 years time 2011, age 37 I plan to exit the rat race, I will have to downsize but I will achieve FI then. BTW I just realised that in 30 years time I will qualify for the state pension, what a joke! 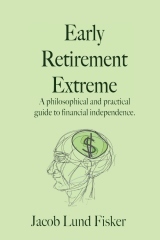 My husband and I achieved financial independence in 1999, when we retired from our business at the ages of 49 and 48. I would say my goal right now is early 40s, so we’ll say 2020 just to put it at a round number (age 45). My goal by then is to pay off our house and save enough to pay living expenses with investment income plus what I could make doing taxes part-time just during tax season (Jan-Apr) or an equivalent part-time gig. However, the huge variables I foresee are health insurance and college education. I would like to pay at least my kids’ college tuition if possible since my parents did that for me and it got me off to a good start early in my career. Even though I made some other stupid mistakes with money that set me back. Even being able to think about FI is exciting to me since just 5 years ago I was a mess financially. Jacob – my targeted semi-retirement is 2019 and full retirement a few years after that. Next year. I have a healthy portfolio, but need to divest of my mortgage. I’ll probably do that by selling my house and building a small and mortgage-free house on my already paid for acreage. My target is 2021. I’ll be 50 years old then. Hence the name of my blog ‘Free by 50’. 4-5 years so call it 2014. The year that will encompass my 44th Birthday. For me it is “semi-FI” because (As frugal scholar, above) I love my profession. I can’t imagine not doing it in some form or another. So for me, it means having 15 years living expenses saved and transitioning to part time work (Which is doable in my field). This will allow me to have the flexibility to travel, etc. I can work 25-33% of the time and earn enough to live on without touching my savings. Hence they can grow toward “full” FI. If I have extra expenses I’ll work a little more. I’ve never really figured it for full FI. Threats to my plan: I may loose my job. I could end up changing lifesytle and hence needing to work more (Doubtful). Becoming sick /needing more healthcare. I don’t see any other major threats. Things that may enhance my plan/move the date up: I may earn more. I have been doing some weekend work for extra pay and have the opportunity to do some lecture here as well. Both help. I may take a roommate (Until I sell my house) which will also add. Lastly in roughly 2-3 years I will need to change jobs to get some more general skills (So I am more marketable as a part time/temporary employee) and may earn more at that job. Finally, for me the last year will be a “drift down” in which I will have 2-3 part time jobs. This will allow me to drift into retirement so as not to “Stun” myself with allt he sudden having the big day!